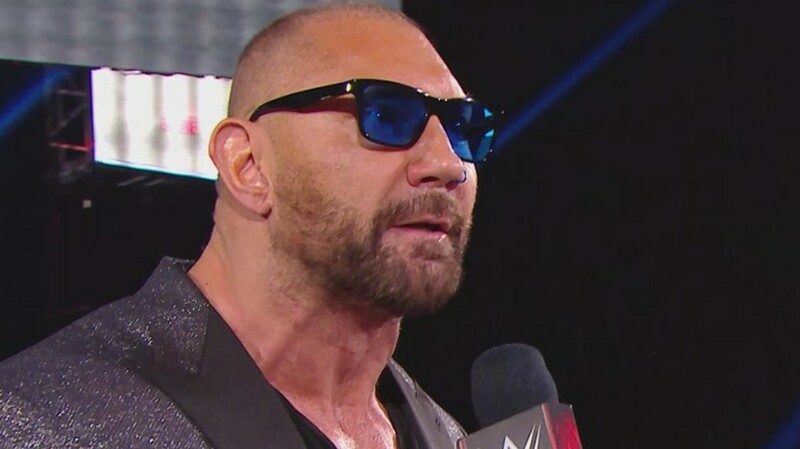 Batista will face Triple H at WrestleMania in his final match – AiPT! The two former Evolution members will go head to head in a no bolds barred match at the Show of Shows. The Animal will wrestle one final, no holds barred, match against Triple H at WrestleMania. Batista, for years, has told several media outlets that he would like to return to WWE for one last retirement match against Triple H at WrestleMania and he has finally gotten his wish. After assaulting their mutual friend Ric Flair, Batista, to the surprise of no one, coerced Triple H into accepting the match. The match, of course, was a foregone conclusion as it was hinted at this past October on the 1000th episode of SmackDown Live! and the promotion for it officially began two weeks ago on Raw. What was interesting though was the segment in which the match was announced. It featured Batista trying to act all Hollywood with a grey, sparkly jacket and riding with an entourage of body guards, Triple H referencing said entourage as “The Guardians of the Independent Scene,” Batista’s nose ring, and Batista hilariously shouting “GIVE ME WHAT I WANT” over and over. It is sad that Batista will be wrestling his final match which is sure to be an grandiose affair unto itself but The Animal gave us on final, hilarious, bittersweet gift with that promo. Thanks for memories Big Dave.